The Jeep Compass is the vehicle that can point you to adventure in Jacksonville, TX. Let us show you the Compass at Palestine Chrysler Dodge Jeep Ram FIAT today. How is life treating you? Have you found yourself stuck in the routine of a 9-5 job that doesn’t allow for much time to adventure? It’s time for a change. It’s time for the Jeep Compass. It has everything you need for your next adventure whether you want to take it off-road or keep it on the pavement. See it in action at Palestine Chrysler Dodge Jeep Ram FIAT. It has become the expectation that we live to work when it should be the opposite. We should work to live and take as much time as we can, as often as we can to stop and smell the roses. The Jeep Compass is the SUV that can help you take a technology break and take you everywhere you want to be. The Compass is one smooth ride on the pavement, but head off-road and you will see that this is the area where it really excels. If you are mud running and you find yourself in the path of a stream, what do you do? Normally, you would turn around, but not in the Compass. That’s because it can ford water of up to 19-inches deep so go ahead, cross that creek. It even has a ground clearance of up to 8.5-inches to make it easy to take even more places. With the Selec-Terrain Traction Management System, you can master sand, mud, snow, and even rock like a boss. Do you want more information? Stop by Palestine Chrysler Dodge Jeep Ram FIAT today. Who says that an off-road vehicle can’t also be sophisticated, stylish, and packed with comfort? Not us! That’s because the Jeep Compass may be rugged on the outside, but it gives you all the features you want on the inside. Slip inside of the cabin and take your rightful position in the driver’s seat. Notice the premium materials that are used throughout the interior. Look up and see the dual-pane sunroof that offers spectacular views of the sky for nighttime stargazing or the warmth of the sun during the day. The eight-way power adjustable heated seats allow you to find the most comfortable position possible while you warm your body. The heated seats also double as a way to soothe your achy back in a pinch. There is even a heated steering wheel to warm your hands as you cruise down the road. In the technology department, the Compass has Android Auto, Apple CarPlay, SiriusXM Satellite, and so much more. Get a demo at Palestine Chrysler Dodge Jeep Ram FIAT. 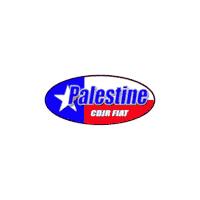 Palestine Chrysler Dodge Jeep Ram FIAT is your one-stop shop for all things Jeep. We are the Jeep experts and we have an excellent selection in stock for you to choose from. You will find the Jeep Compass with the colors, options, and features you don’t want to live without. We have over a dozen on our lot that you can view on our website from anywhere you have internet access or come down and see them in person. We will work hard to help you find the Compass that meets your needs without breaking the bank account. We know you work hard for your money and we want to help you save your hard-earned cash for the more important things in life. Once you have narrowed down your selection, come by our store and we will take you for a test drive to make sure it is the perfect fit for you. We look forward to meeting you and we can’t wait to exceed your every expectation.